Valet parking is available for $18. There are also several public parking lots available within walking distance of the Montgomery Club. Thursday, February 23, 2017. Tournament begins at 6:00pm. All players should be registered and seated by 5:45 pm. Check-in/registration, bar and buffet opens at 5:00pm. 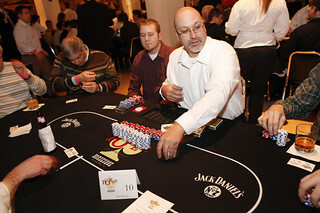 Click here to go to website www.onestepcamp.org/events/poker, or download here. For a $675 entry fee players can significantly increase their chances of playing for a $10,000 seat to the 2017 World Series of Poker. Players in the High Roller Satellite tournament have about a 1 in 10 chance of making it directly to the final table (with a strong chip stack equivalent 4th place regular tournament player at the final table).